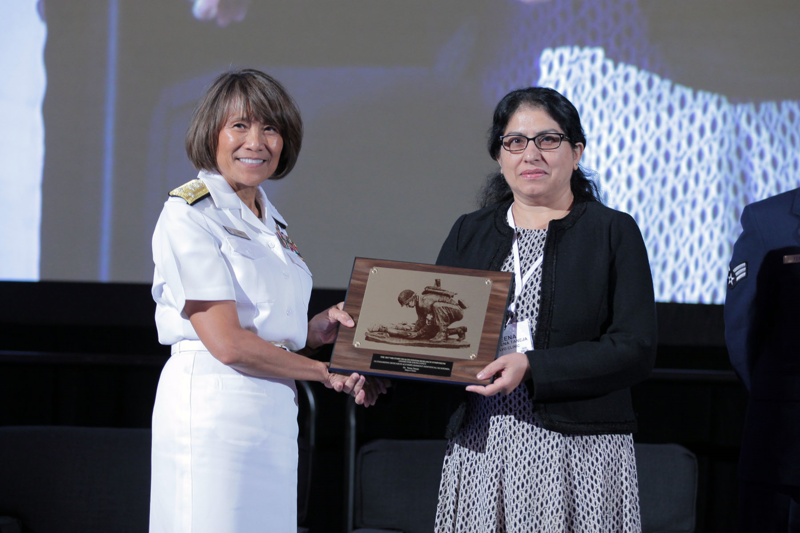 Vice Admiral Raquel C. Bono, director of the Defense Health Agency, presented Veena Taneja, Ph.D. with the 2017 Individual Research Accomplishment Award in the precision medicine category at the Military Health System Research Symposium in August. Photo credit: released government image. Rheumatoid arthritis is one of those debilitating diseases that had long mystified researchers. With few clues and limited understanding of what’s also called RA, the medical community had few treatment options to offer more than 1.5 million Americans who suffer from painful, swollen and stiff joints caused by this chronic inflammatory disorder. That is until Veena Taneja, Ph.D., an immunologist in the Mayo Clinic Center for Individualized Medicine, uncovered what could be the missing link – bacteria in the gut that may be causing the disease and could be the answer to preventing and treating the condition. Her findings could bring a new individualized approach to treatment to a disease that also is believed to have links to genetics, age, gender and even smoking. The Military Health System recently awarded Dr. Taneja a 2017 Individual Research Accomplishment Award in the precision medicine category at their annual research symposium in August in recognition of her groundbreaking discoveries. “The community of gut bacteria – known as the gut microbiome – is the ‘black box’ that may hold the clue of how rheumatoid arthritis develops. Many of the factors thought to cause rheumatoid arthritis are linked to the immune system, such as genetics, age, gender and lifestyle. All of these factors as well as the immune system impact gut bacteria. By exploring the gut microbiome, we are gaining a better understanding of the underlying processes that may lead to rheumatoid arthritis, with the hope of developing individualized therapies to prevent or treat the disease,” says Dr. Taneja. Patients with rheumatoid arthritis have an increase of rare bacteria that cause an imbalance in their gut bacteria. This means that patients with the disease have a distinct gut microbiome, compared to those of healthy individuals. These unique characteristics may help researchers predict who is more susceptible to developing the disease. Based on studies in mouse models, researchers identified bacteria called prevotella histicola that helped prevent the disease from developing in healthy mice and also stopped the disease from progressing in mice with the condition. This discovery is leading to the development of a customized probiotic, containing this bacterial strain, to either prevent or treat rheumatoid arthritis. Since this bacterial strain was developed from human gut bacteria, it may have fewer side effects than current medications being used to treat the disease. Dr. Taneja’s research has exciting implications for patients according to Eric Matteson, M.D., a professor of Medicine and a consultant in the Department of Rheumatology, who collaborated on the research. “We hope to be able to test patients and identify the amount of rare, ‘bad’ bacteria present in their gut and then use a customized probiotic containing ‘good’ bacteria to restore the balance of the gut bacteria, to either prevent rheumatoid arthritis from developing, or reduce the symptoms of the disease, in the hope of stopping its progression. 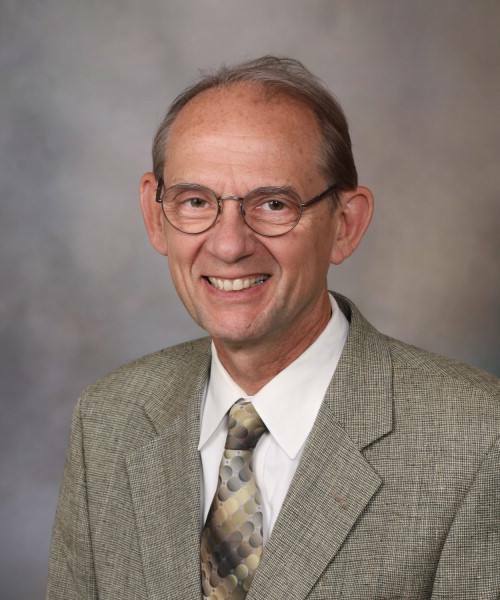 If successful, this individualized approach could be an important contribution towards safely managing this chronic, often painful disease," says Dr. Matteson. 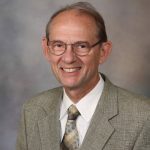 In addition to Dr. Matteson, Dr. Taneja collaborated with John Davis, III, M.D., an associate professor of Medicine and a rheumatologist, and Joseph Murray, M.D., a professor of Medicine and consultant in the Division of Gastroenterology and Hepatology. Dr. Taneja received grants from the Department of Defense to support her research in rheumatoid arthritis.